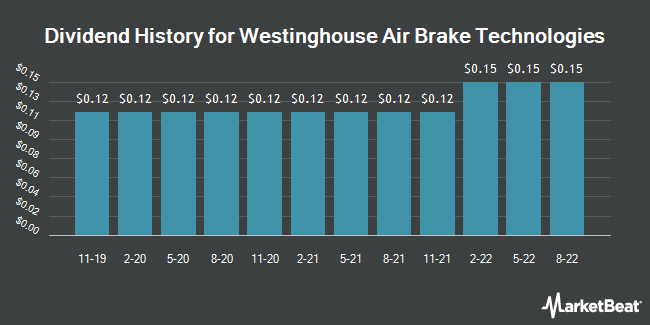 Westinghouse Air Brake Technologies pays an annual dividend of $0.48 per share, with a dividend yield of 0.67%. WAB's next quarterly dividend payment will be made to shareholders of record on Friday, May 24. The company has grown its dividend for the last 8 consecutive years and is increasing its dividend by an average of 19.70% each year. Westinghouse Air Brake Technologies pays out 12.60% of its earnings out as a dividend.